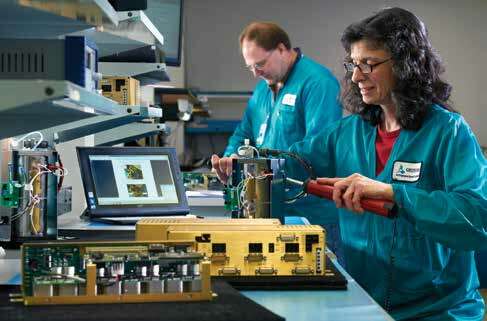 Cirtronics is a leader in the New Hampshire contract manufacturing sector. As an ESOP company, Cirtronics’ employees maintain a strong and vested dedication to their customers’ success, and that on-going commitment to customers requires a variety of IT solutions tailored to complex customer needs. Cirtronics depends on their integrated manufacturing Precision Engagement® system. As a contract manufacturer, Cirtronics’ production and engineering personnel work on a variety of advanced products for tech companies like Ava Robotics (a spinoff of iRobot Company) and Brooks Automation. The company’s IT specialists must leverage the various information systems that occupy the industrial landscape to adapt to each customer’s needs. Jeff Homer, Cirtronics’ Applications Manager, heads up the firm’s IT department. Homer’s journey to Cirtronics was unusual, starting with a job at his dad’s steel mill after graduating with a degree in information science technology. In the Youngstown, Ohio, Northstar Steel pipe mill he “did odd jobs—cut billets, cut pipe, cleaned the ladles. They sent me to do all the ugly jobs.” But in the mill and in other similar businesses he saw that companies were “starting to realize that they needed support people, people who had broader experience and skills and who were unique.” He saw potential developing in an industry that was just beginning to incorporate software in its daily operations. Cirtronics advanced engineering center collaborates on a new build. When the time came to move up to Milford, New Hampshire-based Cirtronics, Homer’s experience and understanding of both manufacturing and IT made him a great addition to the team. The company’s philosophy of Precision Engagement® means that their manufacturing and aftermarket services and communications are tailored to each customer’s specific needs. As a manufacturing engineer who grew up supporting production, Aegis Software CEO Jason Spera has a core understanding of what we need to do to rebuild the U.S.’ manufacturing infrastructure, starting with software. Spera advises manufacturing professionals to think about demands for endless variety, coupled with new system capabilities when they evaluate rebuilding their IT infrastructure. And he warns about the Three Specters of Legacy Systems! The dream is to do it all but run single-piece flow, and Spera says software is the answer to the cost/variety dilemma. “My vision is commercial out-of-the-box software solutions centered around Industry 4.0 without an in-house IT department or extensive vendor customization costs.” He cautions about developing perfect variety solutions staffed with herds of IT pros. Right now there is an established comfort level surrounding legacy manufacturing IT systems—everyone fears change, particularly the migration from one IT system to another. And every manufacturer has a system migration horror story. Spera runs with a different model in which presale and the statement of work are mapped out in great detail before the sale is taken.” The goal is to eliminate surprises and customization costs. Spera tells clients that they need commitment from upper management to drive the project, but once deployment is complete and cut over, management transfers responsibility to operations/quality/manufacturing engineering who will exercise the system ‘the normal way.' “While IT people are great at coding and trouble-shooting, the IT guy doesn’t understand the nature of the manufacturing or qc process, or the needs of line operators," Spera says. "If the system is dependent on IT, that means IT people are being asked to work outside their wheelhouse.” He emphasizes that the system should enable those without IT skills who need the data to get it and do analyses themselves. In addressing customer needs successfully, according to Homer, flexibility is key. For example, while some companies can run to a fixed ERP/Supply Management schedule, others’ operations run with design or logistics or development challenges that require more flexibility. The result for Cirtronics is robust IT flexibility, lean and precise ways to customize for each customer on a well-integrated foundational system. “Our approach is based on decades of working with quality-minded customers that require exclusive and secure solutions,” Homer said. Homer looks back at the history of building this foundation at Cirtronics. “Back in the early 2000s, we were still very paper-based with folders and clipboards. Machine programming was automated, but data collection was all on paper. We knew it was time to make some necessary changes,” he said. “The obvious place was data collection, with first some systems doing data collection online—but the manufacturing floor was last. An example of our data mining collection is Aegis X-links that feed data from the machines into our quality system. We use them for real-time information to deliver a better quality product. 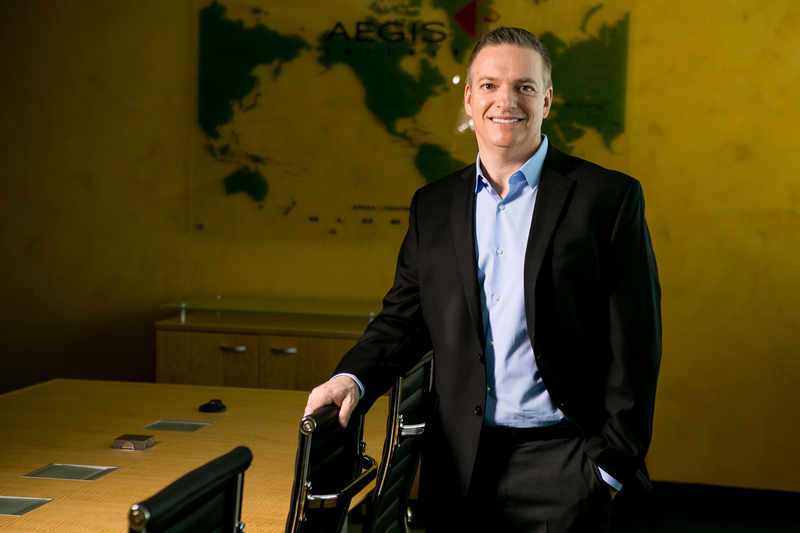 Administrative departments had done some home brew, but IT overall really needed to raise our game.” The company invested in Aegis for machine programming, and operations became more and more automated. Over 60 percent of Cirtronics' business is in box build and integration. “Now,” says Homer, “a lot of what we do in IT is to respond to challenges and requests in real-time, and now we can pull between different specialists to work together at the same time. It’s a big cultural change from the old days of paper folders, and hard-copy data tracking. As a contract manufacturer with what Homer calls “quality sensitive and specialized products,” Cirtronics will continue to be challenged by its customers’ evolving IT needs. The company will address opportunity areas they’ve identified—managing incoming materials, storage and parts changes. Since automating these areas is a big capital equipment expense, Cirtronics continues to explore which strategies could increase automation of incoming and materials storage. Solutions range from an IT upgrade, redesign and more supplier involvement to a completely new automated 24/7 operation. Also, Cirtronics expects its adaptable and flexible solution to evolve over time, the hallmark of its IT strategy from the beginning. Named a “Pioneering Woman in Manufacturing” by Fortune magazine, Patricia E. Moody is a manufacturing management consultant and author.